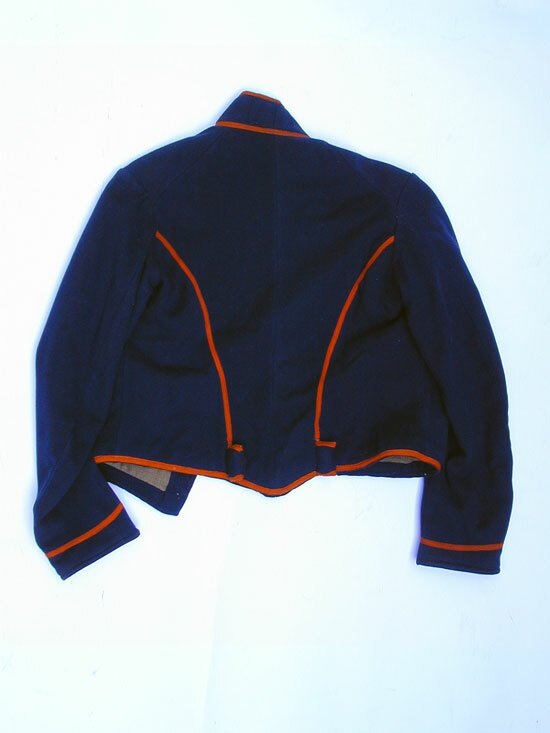 This jacket is a size 2 and is so marked in the right sleeve. 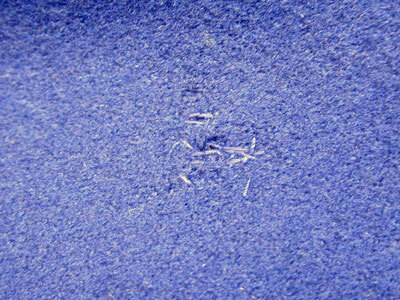 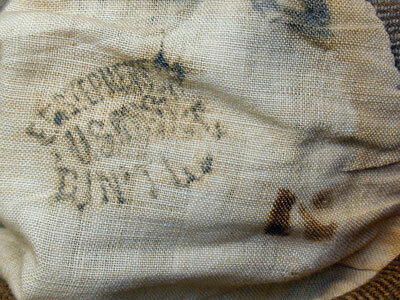 The Jacket was inspected by E. Stephenson U. S. Inspector, Cincinnati, OH. 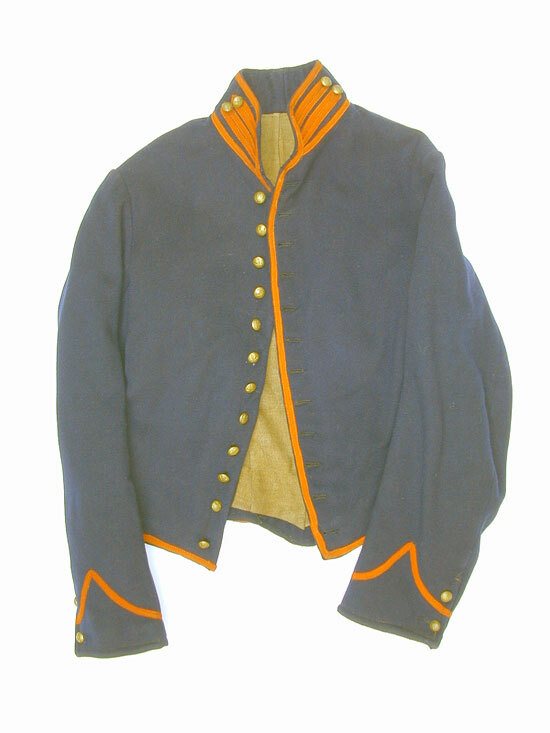 This jacket is one of the few articles of original Civil War Uniforms that show up on the market from time to time. 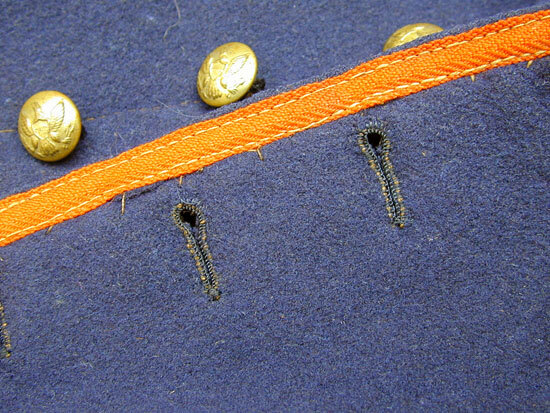 The color of the jacket is truest to the close up photo of the buttons and button holes.